Due to the uncertainly around Brexit, the number of Britons holidaying at home this Easter has literally doubled with 67% taking an Eastercation break compared to just 34% in 2018. These findings have been revealed in a new holiday report issue by Travelodge which operates 563 hotels across the UK which surveyed 1,500 British adults on their Easter holiday plans. Key findings revealed British holidaymakers will spend on average £810 on a five-day Eastercation break, discovering what makes Britain so Great! Collectively the Eastercation holiday spend will boost the British economy by £36 billion. Other findings revealed that 72%of respondents reported that Brexit is the key reason to why they are holidaying in the UK this Easter. However due to the uncertainly of the current economy the average amount Britons are spending on their Eastercation break has dropped from £1315 in 2018 to £810 this year. Under a fifth at 18% of Britons reported that they are holidaying abroad during the Easter holidays. With Easter falling later this year and temperatures predicted to rise, the traditional British seaside jaunt is topping the Eastercation holiday poll with nearly a third (32%) of Britons flocking to the coast. Top seaside locations include: Blackpool, Cornwall, Brighton, Devon and Bournemouth. Nearly a quarter (22%), of holidaymakers are opting for a cultural break to discover more about our historical cities such as: London, Birmingham, Edinburgh, Glasgow and Bath. 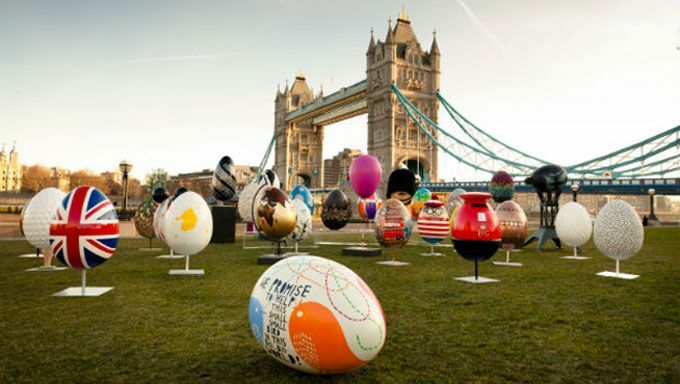 Further research findings from the holiday report revealed the UK’s most extravagant Eastercationers are from London, who are contributing a whopping £5 billion to the UK economy this Easter. 65% of the capital will be heading off somewhere in the UK on an Easter jaunt spending on average £930 for their trip. The second biggest contributors is Brummies who will be splurging £2.6 billion in total on having a good time in the UK this Easter. Sixty one per cent of Brummies will be spending £820 on their Eastercation break. Sheffielders take third place with 57% holidaying at home this Easter and collectively supporting the economy with total spends of £301 million with an average holiday spend of £1,018. Glaswegians take fourth with 60% taking an Eastercation and spending on average £804 on their holiday and contributing a total spend of £289 million. Completing the top five listing is residents from Leeds, with 64% of Loiners taking full advantage of the Easter holidays and spending on average £797 on their break and collectively splashing out £242 million on holidaying at home.